For me, as the child gets older, they start to play with the toys I envision children playing with. 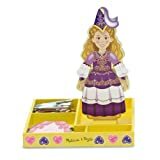 We move away from the more baby-ish toys and on to the ponies, dolls, stuffed animals, dress up clothes, trains, etc even more. Something great about three year olds is that most have something they just love. For Brayden, it was Thomas. For Kaitlyn, it is horses. So what are some great toys for kids at this age? Old Favorites: Review past posts on best toys for your child at this age. It really varies from child to child. The three year old will still like cars, trains, trucks, tractors, lawnmowers, balls, baby furniture, kitchens and accessories, play doh, Geo Mags, Little People, etc. If your little one loves trains, this Thomas & Friends Wooden Railway – Sodor Gift Pack with Henrietta might be just the perfect gift. Build On Favorites: Remember to slowly add to your child’s collection if there is something he loves. One example of that for us is Thomas the Tank Engine toys. We slowly add new trains and new destinations to Brayden’s set-up. And it is good to note that my girls love the trains as much as Brayden. You can add trains, toy food, aprons, new Little People sets etc. Board Games: This is a great age for games. The three year old is so much more capable to play games. Check out my board games post for my list of games and reviews on each. Educational Toys: There are lots of things geared toward learning. Children love to learn. See the blog label “Learning Activities” for ideas in this area. Puzzles: Puzzles are really fun for some children at this age. There are so many amazing puzzles out there and I will be doing a post on puzzles in the future. For now, let me just say I don’t think you can go wrong with puzzles by Melissa & Doug. Books: I always give books at each birthday and Christmas. There are more great books out there than you could ever own. For book help, see Great Children’s Books. Plastic Animals: I loved Plastic Animals as a child, and my children do, too. Kaitlyn especially likes them. If you have an animal lover in your home, plastic animals will be a hit. Dress Up: Dress Up is so fun for children. And don’t think you have to do a full costume for it to count as dress up for kids. You can do hats. My children love their cowboy hats . Accessories work great too, like wands , capes , or feather boas . Ponies: Kaitlyn has pony obsession, and her birthday was very much a horse birthday. If your little girl loves ponies, look into the playsets by My Little Pony. 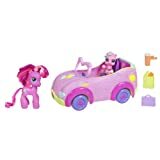 They have babyPinkie Pie with her carseat in convertible and her mom or baby Rainbow Dash with her mom and a shopping cart . 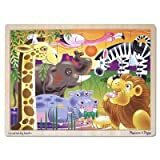 Melissa & Doug Stable: Can you tell I love Melissa & Doug? They have a stable and a barn I was deciding between for Kaitlyn. I went with the stable because we have a little people barn already. Plus, she is horse crazy. She loves it. It comes with four horses. And of course, her Ponies have also moved in. Table and Chairs: We have a cute little table and chairs set for the kids. They love to sit there and play kitchen, draw, color, and even go camping…I don’t know. It is all in their heads. This same brand comes in primary colors. Bike: Both Brayden and Kaitlyn go their first bike at age three. Plasma Car: I have talked about this in the past, but we love our PlasmaCars . A lot. If you don’t have one, consider it. I think you will love it. Every time an adult sees our kids on these, they ask what it is and where we got it. They are lots of fun. When I was buying mine, a lady came up to me in the store and went on and on about how much she loves them. Scooter: Scooters are lots of fun, too. We have a radio flyer three wheeled scooter. Kaitlyn loves to ride this. Sports Toys: I have talked in the past about a basketball hoop and T-ball set. There are golf sets and soccer goals . I love toys for outside because I think outside play is great for kids.